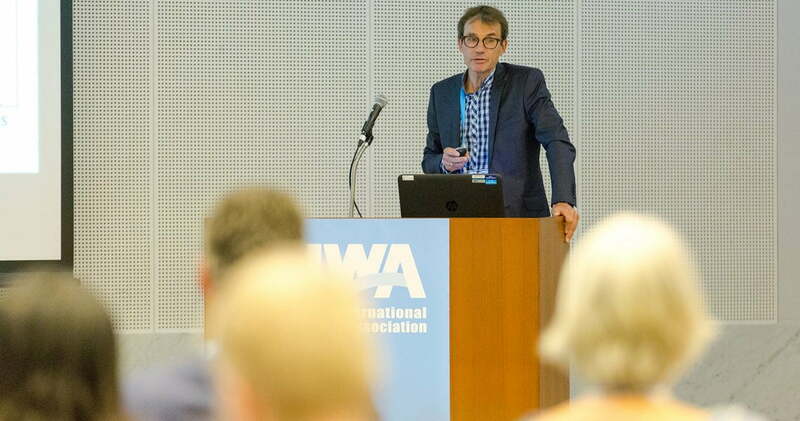 On Monday 17 September, Watershare members organized the workshop ‘Handling Emerging Substances in the Urban Watercycle’ on the IWA World Water Congress 2018 in Tokyo. The space reserved for the workshop at the congress filled up quickly with policy people, researchers, water sector operators and others. After an introduction by host Stefan Kools, several experts, among which Watershare members, gave technical presentations. The first presentation was given by Jan Peter van der Hoek of Waternet, who spoke of emerging substances in the urban watercycle as a ‘wicked problem’. There are many emerging substances, from different sources and origins, while the watercycle is in itself a rather complex system. Van der Hoek argued that the watercycle is threatened by many emerging substances but that many abatement options are being developed to handle the issue. He was followed by Regina Gnirrs, of Berliner Wasserbetriebe, who showed the audience how Berlin is removing the micropollutants through Managed Aquifer Recharge systems, thereby offering an example of the experience of a full-scale operation. KWR’s Annemarie van Wezel then discussed policy and research issues. She paid special attention to the criteria for reporting and assessing the available data. 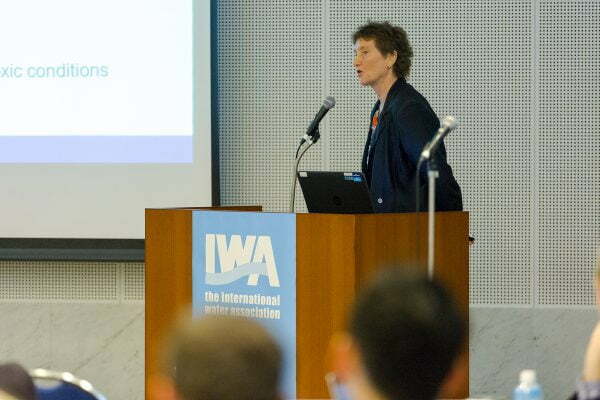 As an example she mentioned the Abates tool, in which data from more than 50 scientific papers are included on removal efficiencies by advanced water treatment technologies. To assure a continuous update and development of the material, the work is connected to Watershare. Lastly, Céline Pernot, of SIAAP, the Greater Paris Sanitation Authority, noted that pilot study conclusions show that removal of pharmaceuticals using selected technologies is efficient. Nevertheless, the Paris strategy remains focused on source control. This aspect was discussed further in the workshop afterwards. The discussions were very lively and stimulated by propositions on policy, monitoring and mitigation measures. Clearly, bringing together people from different backgrounds furthers progress in dealing with the emerging water-quality issues. The workshop concluded that this progress is needed and Watershare could provide the required tools and knowledge.